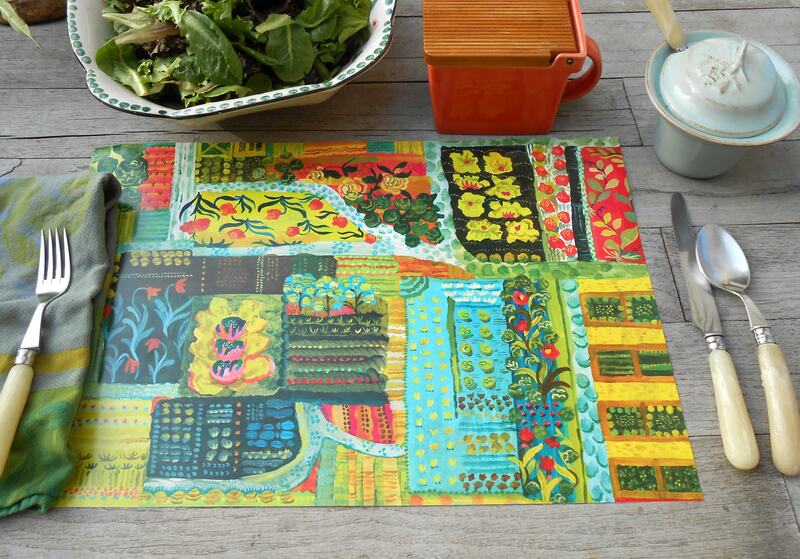 Paper placemat set of 12, Farm to Table design by Kimberly Hodges. 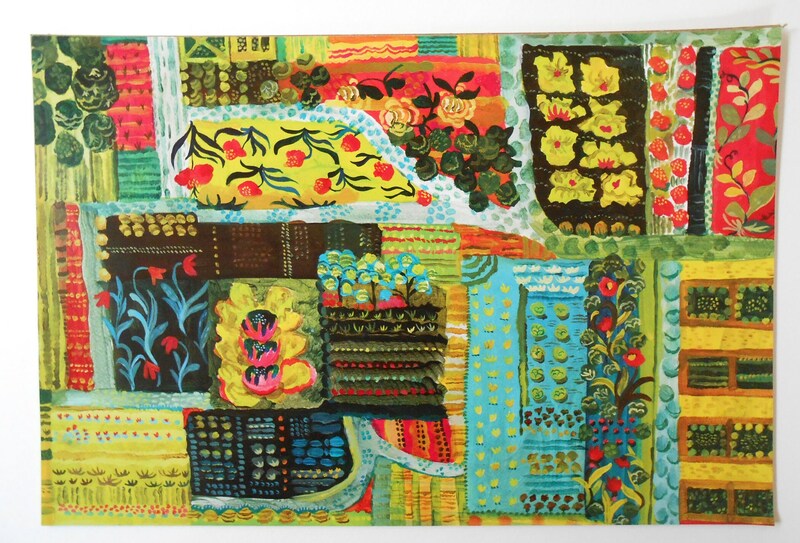 A generous 12" x 18" size printed on semi gloss paper stock. 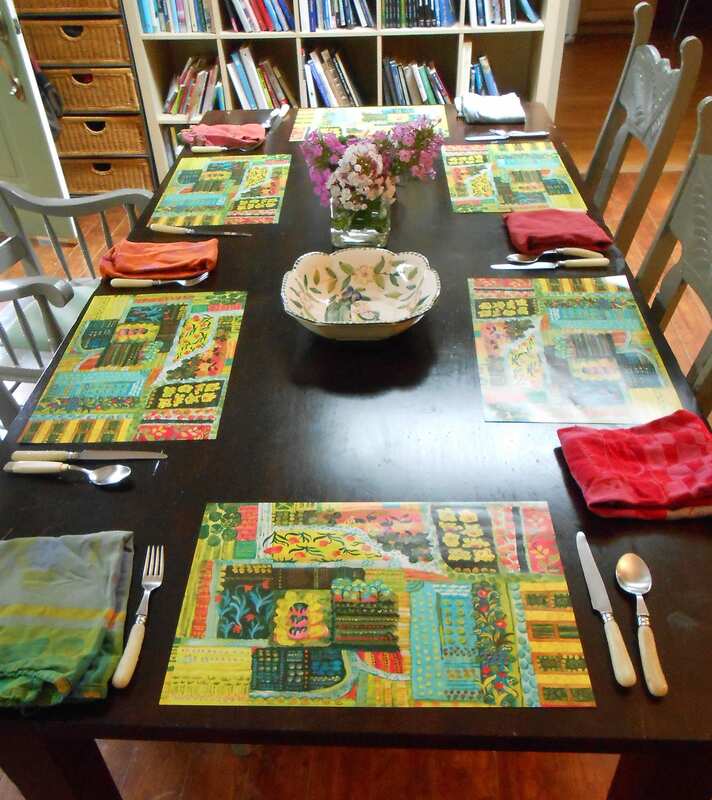 Placemats are padded on a single sheet of lightweight chipboard, just tear off and use as you need. With light use the mats can last for 10 uses each side. For messier meals or families with kids be sure to check out Kimberly's laminated versions. 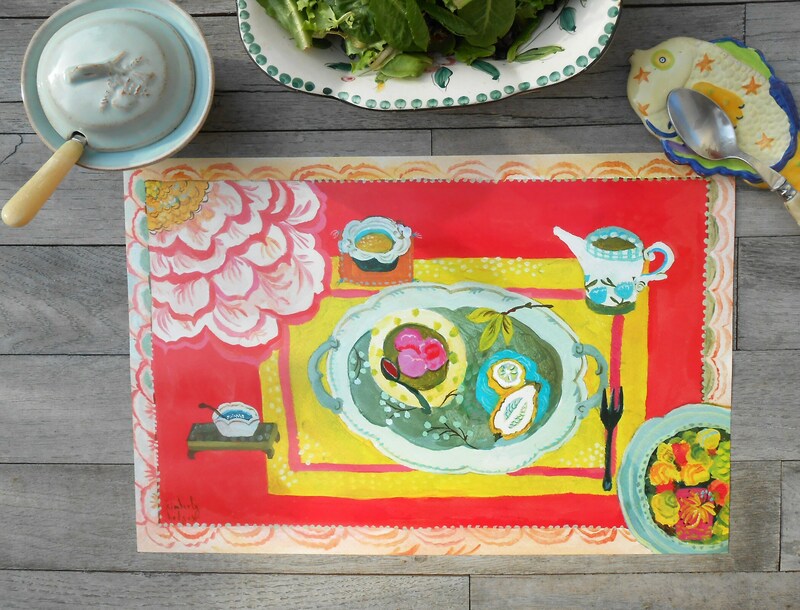 Vibrant color and different designs on each side, this paper placemat pad set is sure to cheer up your table and perfect gift to delight your favorite hostess, child's, brunch, or garden party. 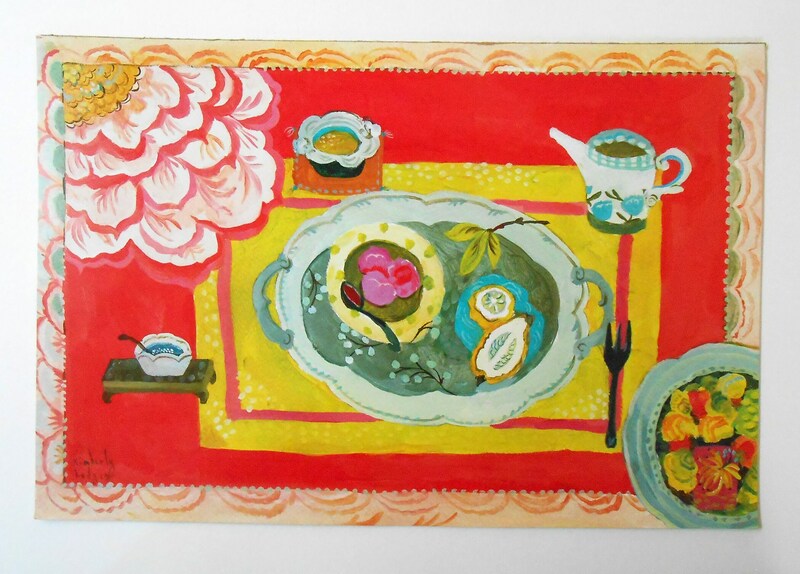 Sunny table setting in corals hues on one side and a sunny garden scene on the other. 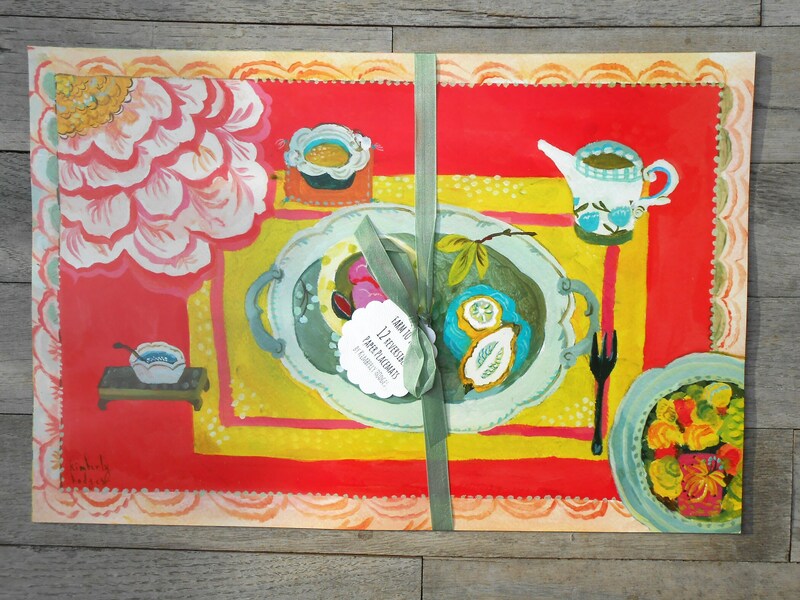 These placemats are cute enough to be framed! What great color they’ll add to any table!